WA's MOST POPULAR BOAT. Come and view the CARIBBEAN 35 MK 3 and see the numerous reasons why this legend has attracted so many people to enjoy what she has to offer over the years. This New Release updated model capitalises on years of proven ability and engineering design, but has just been taken to a new level of style and practicability. + Sleeps up to 9!! and the best resale value than any other brand in Australia, are all reasons why a the C35 will still stack up better than its peers for many years to come. 50 Years of boat building experience has gone into this model being the most versatile boat in the Caribbean range. 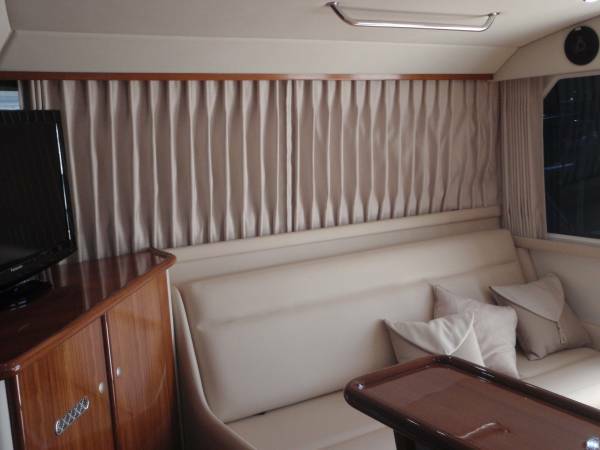 With a new bigger flybridge with closing ladder hatch opening, new rear door BHD arrangement with an even bigger ice box, along with a host of other refinements this boat is sure to impress all and ensure that the Caribbean 35 remains at the top of a serious boaties wish list. 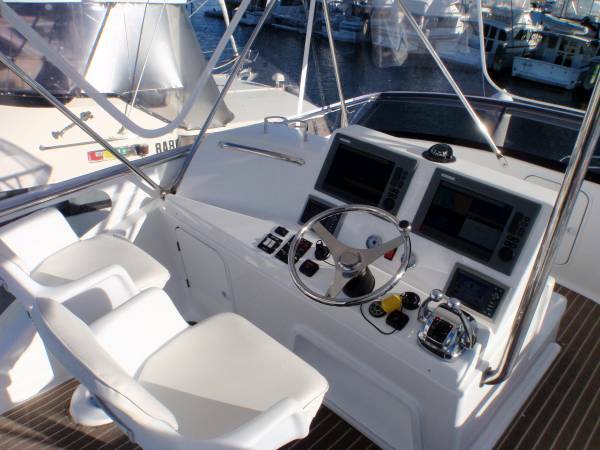 If you want to create your own individual boat, by injecting your own style Mansfield Marine can offer many options that will really make your Caribbean unique. 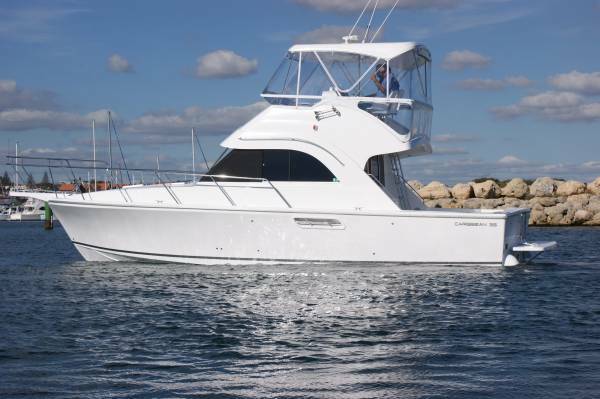 Mansfield Marine are the one stop shop for Caribbean buyers. We offer full maintenance plans and support, taking all the stress out for you. YOU JUST GO BOATING!! WA delivery charges apply to above quoted cost. A base spec New C35 including WA delivery would be $595k. 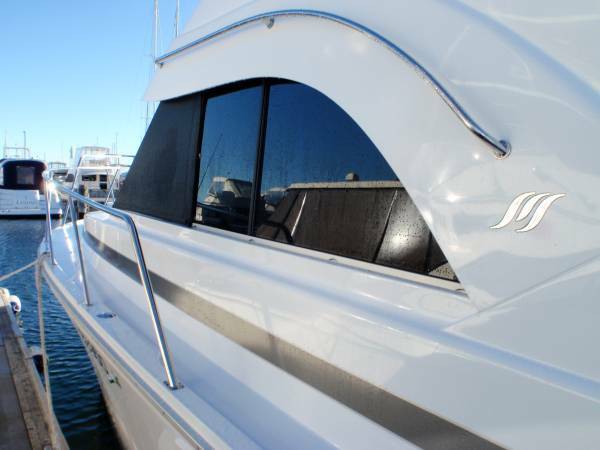 Ask us to quote a boat to your specific requirements. Call Travis Mansfield on 0419911560 or Coby Mansfield on 0418958658 for more info on any Caribbean model. 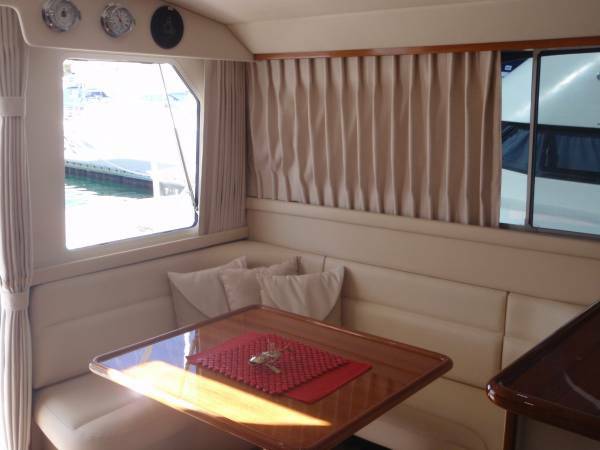 NOTE: The boat in the displayed photos has options installed that are not in the standard boat price as listed. Please check with us for option pricing to suit you. 2 x Cummins QSB330hp 6.7 ltr Diesels, Common rail electronic controlled with smart craft instrumentation, Electric single lever throttle and shift. 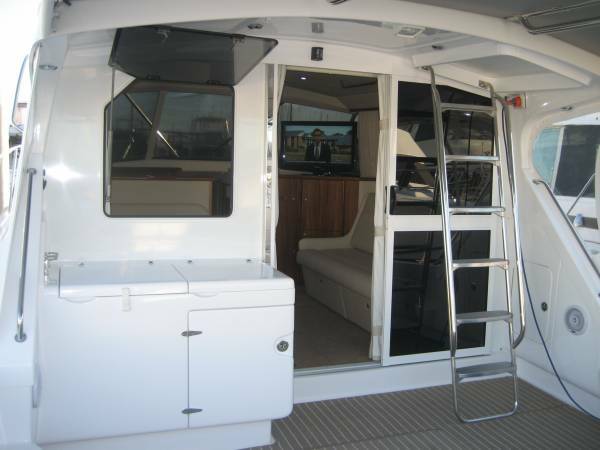 Engine room: Great access to all components for service and maintenance. 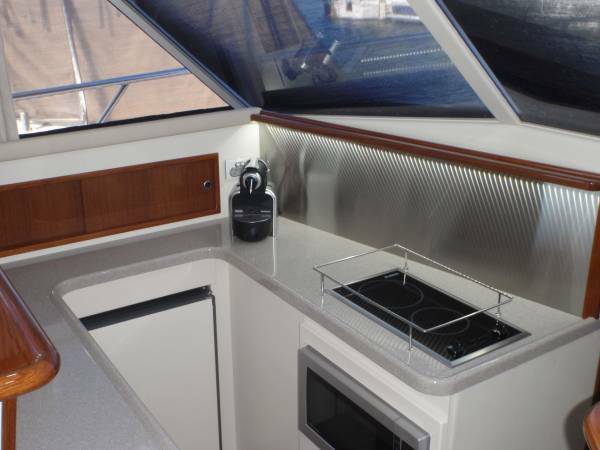 Semi sunken galley, 12/240 fridge, halogen hot plate, microwave, moulded corian style bench top and ample drawers / cupboards. Fwd cabin with double, guest cabin with 2 x generous singles, saloon with convertible double and single. 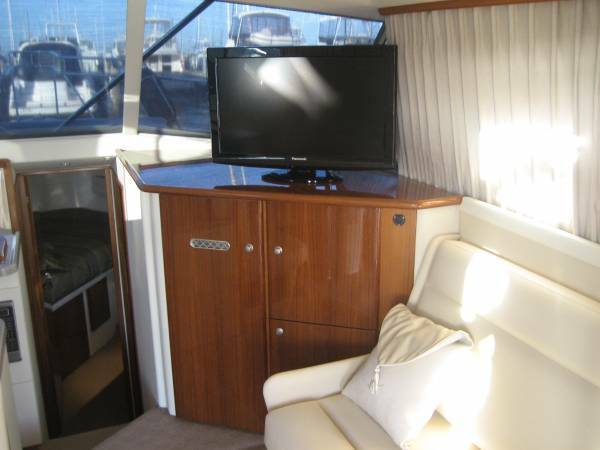 Optional convertible Dinette Total sleeping 7-9. Electric, with holding tank with macerator discharge. Mansfield Marine Supplied: 15 Lifejackets, 406 Epirb, offshore flare kit, 3 x fire extinguishers and a First Aid Kit. 12 v anchor winch with Flybridge helm remote. 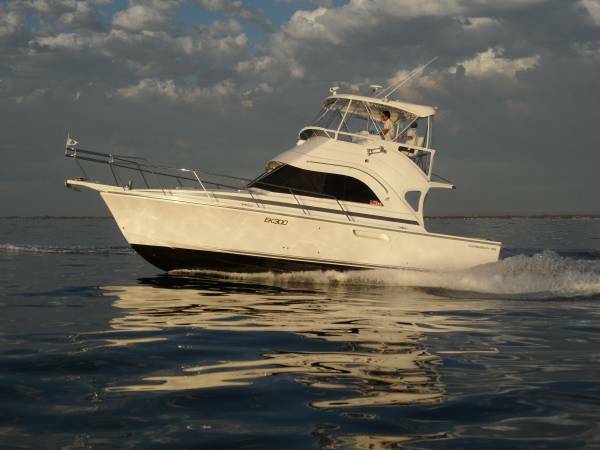 With out a doubt the most popular boat in its class in Australia.
" 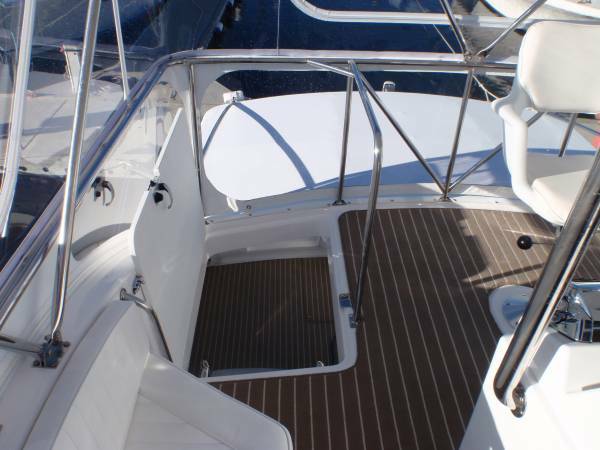 MANSFIELD MARINE CAN ENHANCE YOUR CARIBBEAN TO YOUR EXACTING REQUIREMENTS AND PERSONAL TASTE"
" THE BOAT THE EXPERTS ARE BUYING"